You would think that a goth, lesbian, post-op transsexual might have a few interesting stories to tell? And Bethany Black does, but she doesn't know how to tell them. From an early age Black felt she was in the wrong body. By her twenties she was 'keeping piss in jars and covering mirrors with tinfoil'. A failed suicide attempt later she found herself at the doors of the biggest transgender unit in Europe. Her family are supportive; the operation goes fine, everyone's happy. It's hard to think of a show with a more personal pedigree at this year's Fringe. Unfortunately there is so little edge to the likeable but bland Black and her nervy nice-girl delivery allows her to murder the comedy gold dust and linger over the mundane. Disappointingly second rate. Baby Belly, 0844 545 8252, until 24 Aug (not 11), 11.05pm, £9–£10 (£8–£9). 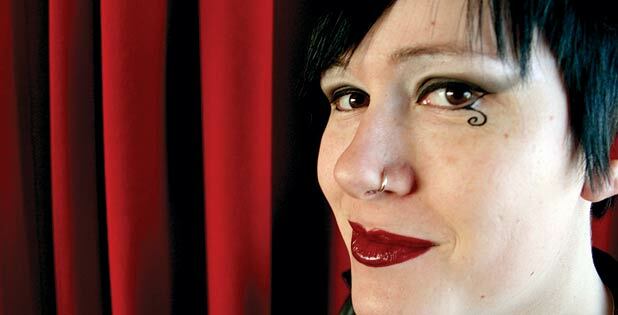 Confessional comedy from the goth, lesbian, post-op transsexual comedian. She's got some interesting stories to tell but her nervy nice-girl delivery doesn't do them justice. 'Part of the Edinburgh Festival Fringe'.